Former referees' chief Keith Hackett has slammed the Football Association over their Respect programme, which he believes has "fizzled out". As part of a damning investigation published by The Telegraph, Hackett says the FA "don't have a handle" on the scale of the problem in the grassroots game, whilst a new survey reveals concerning levels of abuse towards referees. The independent research into the experiences of more than 2,000 referees, carried out by three universities, reveals that six out of 10 officials experience significant verbal abuse at least every other game, whilst one in five say they have been the victim of physical abuse. The Telegraph's investigation, which features case studies of three officials who have been victims of abuse or threats, will be of further concern to the FA, following after a number of worrying incidents in the grassroots game in recent months. 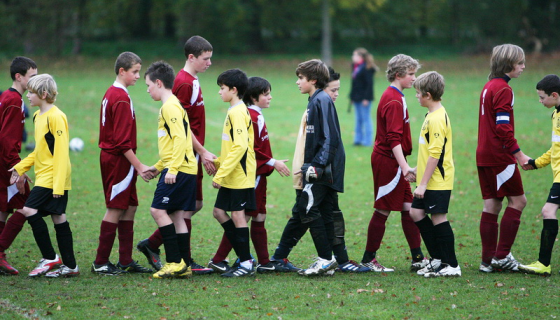 In November, officials in the Thames Valley Premier League went on strike in protest at a series of threats and abuse, including one assault and two abandoned matches, whilst in February the chairman of the Surrey County Youth League warned parents that someone could be killed if aggressive touchline behaviour continued to spiral out of control. The Telegraph report that Hackett is "alarmed" at the situation and has written to outgoing FA chairman Greg Dyke, who will step down in July, to urge him to focus on the issue in his final weeks at the helm. Hackett, who receives regular reports of abuse to referees via his You Are The Ref media channel, told Dyke that he believed the Respect programmes had “fizzled out”. “I have been in the game since 1960 and I have no doubt that this is getting worse,” Hackett told The Telegraph. “I don’t think the FA has got a handle on it. I think that refereeing within the football discussion is way down the pecking order. The new research by Loughborough University, the University of Portsmouth and Edge Hill University, surveyed more than 2,000 referees on their experiences of the game. The results of the study will be published in full this year, but one researcher claims that the current levels of reported abuse represent just a fraction of actual incidents. “What we are being told is that referees are often not reporting incidents because they are scared about repercussions, feel nothing will be done or they won’t get supported,” Dr Jamie Cleland, of Loughborough University, told The Telegraph. “Many just want the match to end and then get out of there. It suggests that the actual reported number of incidents is the tip of the iceberg and not representative of the full scale of the problem. 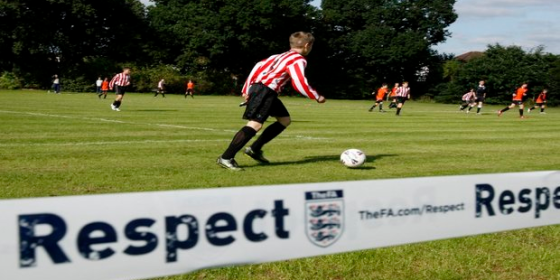 In September, Club Website reported that 57 percent of the grassroots community believed that behaviour had not improved since the Respect programme launched in 2008. The Football Association remains committed to Respect and can point to an increase in referee numbers - from 23,000 to 27,000 - since the programme launched in 2008 as a marker of its success. They urge all referees to report incidents and state that serious physical abuse will be dealt with severely. The FA's own grassroots football survey, which published its results in December, found twice as many referees were satisfied with on-field behaviour (24%) and spectator conduct (26%) as there were dissatisfied (12% and 13% respectively). “We haven’t taken our foot off the gas at all. It’s a long-term, ongoing programme,” Kelly Simmons, the FA's Director of Participation and Development, told The Telegraph. “When there is serious abuse, physical abuse, those responsible can expect a lifelong football ban – it won’t be tolerated,” she added. The full report on The Telegraph's investigation is available to read at telegraph.co.uk.